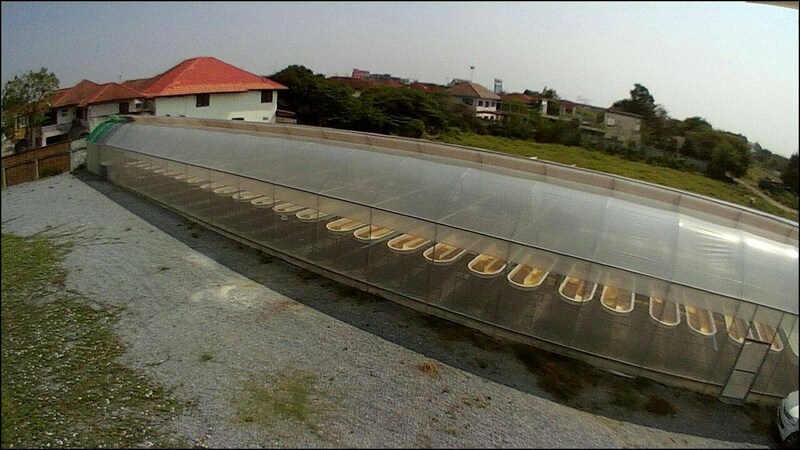 With our microalgae concentrate, hatchery can change their microalgae cultivation pond to raise the shrimp nauplii; thus, gaining 30% more profit right away. 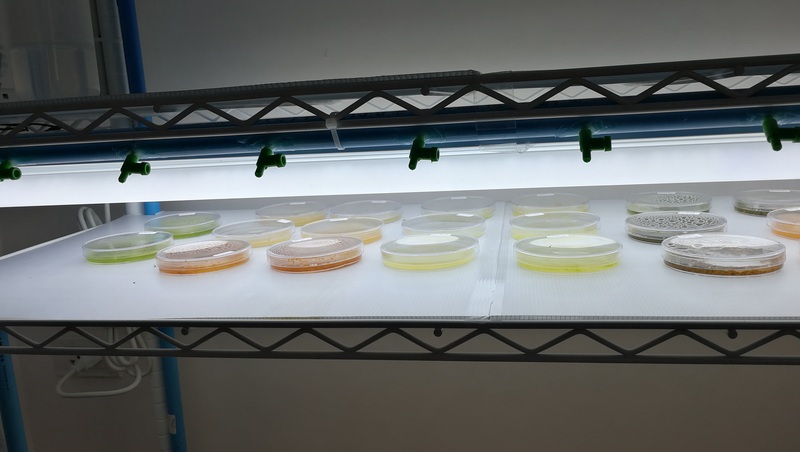 From lab-scale to full production scale, Algaeba can produce microalgae at commercial quantity. Algaeba has strong partnership with leading universities and laboratories nationwide. Algaeba has 300 square meter Production facility. We can produce microalgae concentrate everyday to serve our customer. We collect and isolate microalgae strains from Thailand. We conducted screening program for pigment and other attributes. Algaeba partner with some of the leading universities and national laboratories in Thailand and abroad. 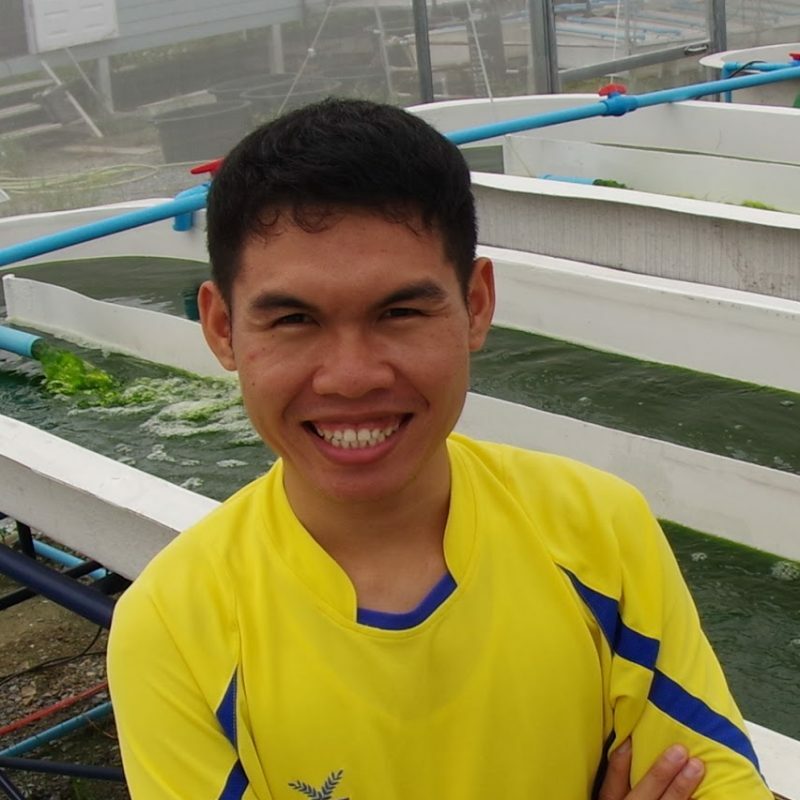 Chetnuwat (Pan) has background in microalgal science. 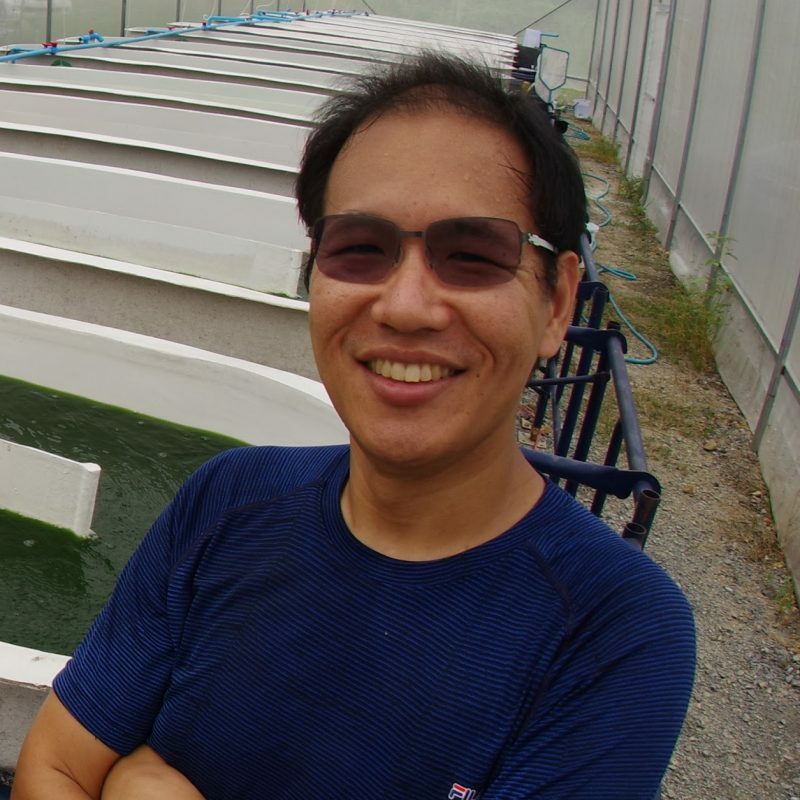 He used to work at PTT microalgae pilot plant facility and has 7-year experiences in microalgae isolation and cultivation. Not only microalgae, can he also grow many kinds of zooplankton extremely well. 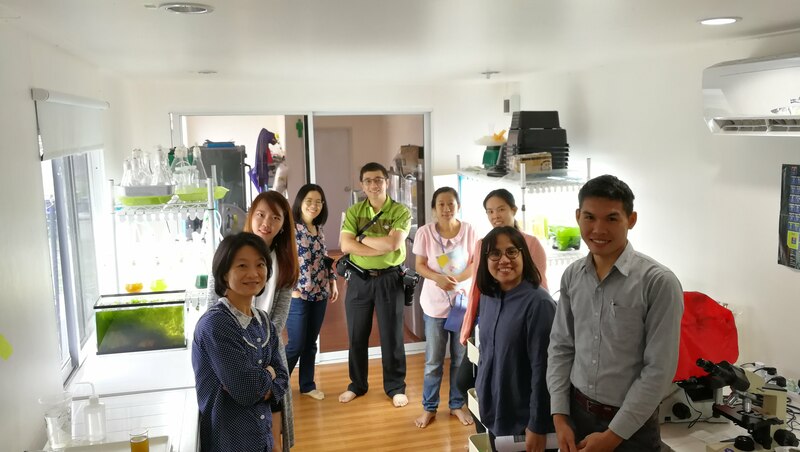 Kunn (Jay) has background in engineering and lead one of the largest network in microalgae research and development in Thailand. He would like to use Algaeba technology to help feed the world with sustainable seafood and microalgae. Bordyn (Bank) has background in electrical engineering. 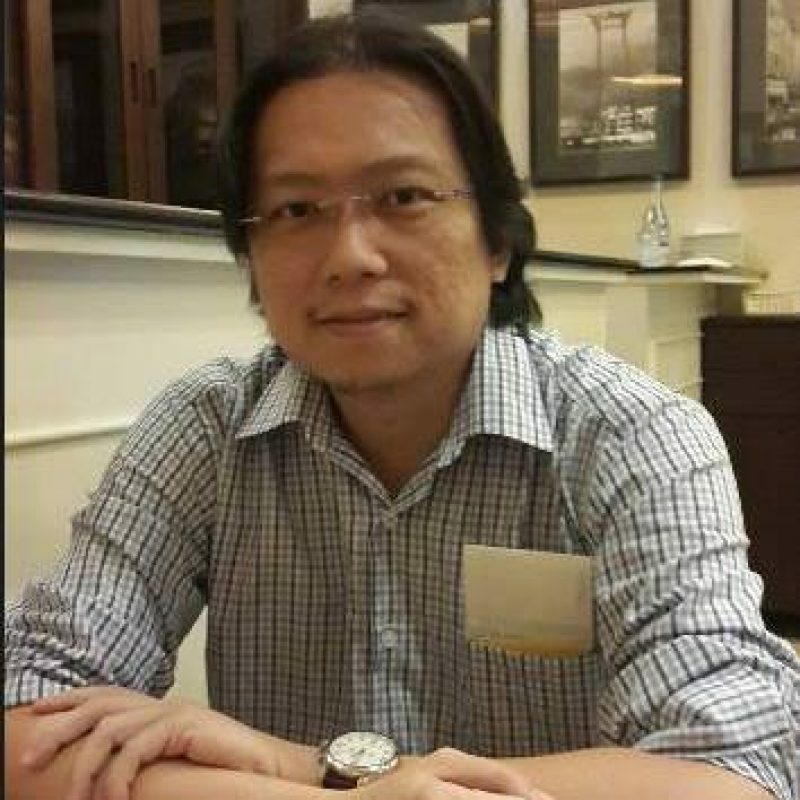 He’s worked in the product development industry for more than 18 years. He is one of the makers in Thailand. He will help Algaeba bring Aquaculture to the advanced stage. © 2019 Algaeba. Built using WordPress and OnePage Express Theme.